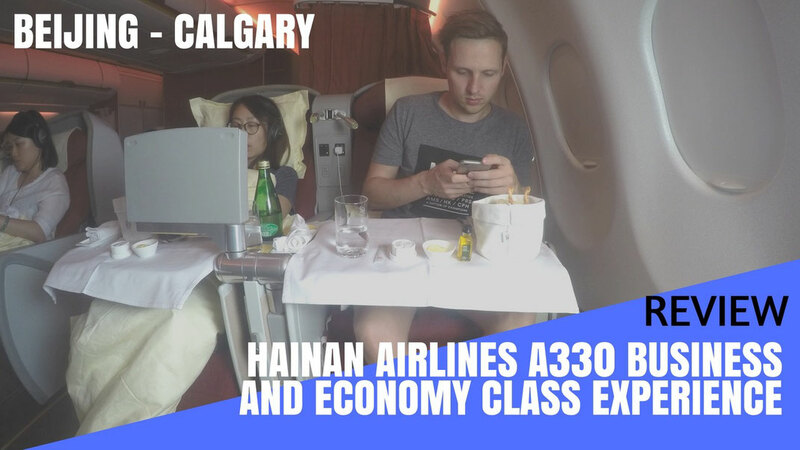 On the 30th of June 2016, Hainan Airlines launched the first ever direct flights between Beijing and the Canadian City of Calgary. HU7977 was operated by the Airbus A330-200 for the first 6 weeks and is now being executed by the 787 Dreamliner. To be honest, I had no idea why there needed to be a straight flight between those cities but after I saw what Calgary and its surroundings have to offer, I had no doubt about it anymore. 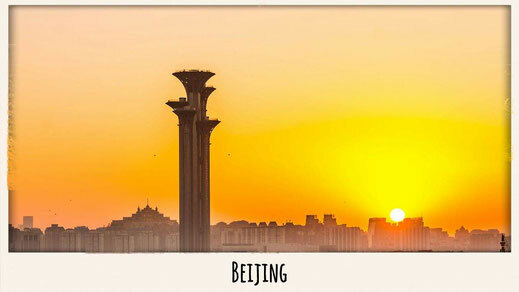 Hainan has a strong focus on extending its network into North America with existing routes from Mainland China (Beijing, Shanghai or Changsha) to Toronto, Boston, Chicago, San Jose, Los Angeles, Seattle and Las Vegas. At the moment 27 more 787-9 are about to join the fleet within the next 5 years. Stay tuned for some new routes to be announced! 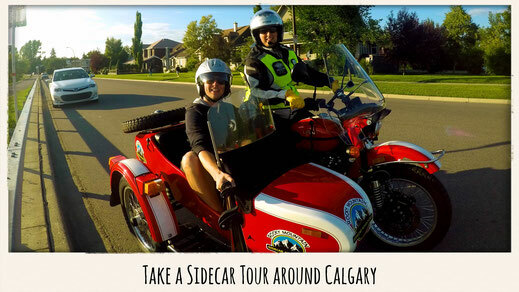 If you're too lazy to read the review I recommend you to watch my video Vlog of the entire trip including some cool National Parks, pretty Cabin Crew, adventurous Helicopter rides as well as sidecar tour through Calgary. The Economy Class was comfortable but nothing extra ordinary, smiles a bit rare, even though the service was quick and spot on. 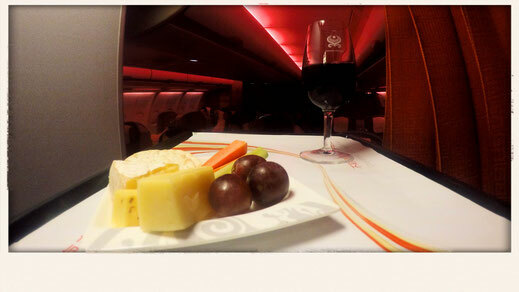 I wish the crew would have shown a little more presence in the cabin, as I was used to it from other 5-Star airlines. However, every time I needed something or asked for a drink is was done right away. Before take off, cold towels and the menu were handed out with a nice choice of 3 meals including: fish, pork, or chicken. 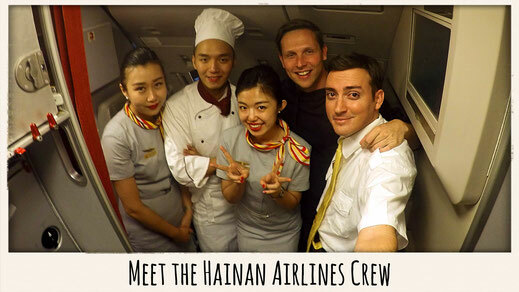 The crew was mainly Chinese, but according to Hainan's policy, there always needs to be foreign crew aboard. The purser for instance was Japanese assisted by a Slovenian crew member. After a first drink service, dinner would follow immediately. I'd say half an hour after take off everyone was already having something to eat in front of them. That was rather impressive and kinda reminded me of Kuwait Airways service which was the fastest I have ever come across. There was a round of coffee and tea followed and afterwards the lights were dimmed. The entertainment system was very responsive and very easy to handle. Luckily I was given a whole row to myself and I had a great sleep throughout the flight. I literally woke up for the pre-arrival service. Once again there was a choice of rice with shrimp and a lasagne for breakfast. 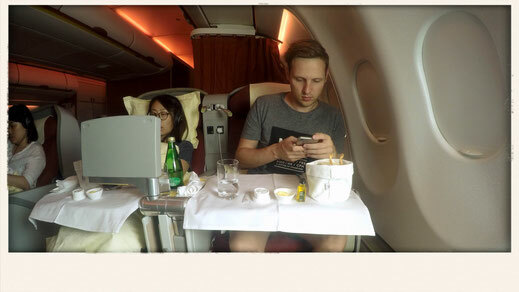 Also alcoholic beverages were available for the entire trip from Canada to China. 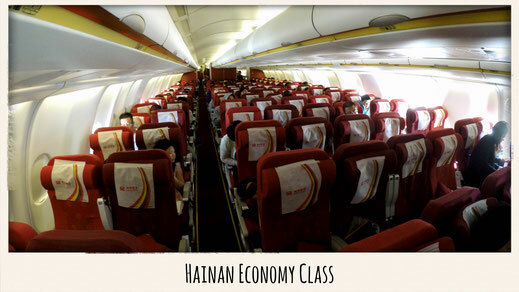 Before boarding the airplane I was very skeptical whether Hainan's Business product will get anywhere near to what I have experienced on other 5-Star carriers such as Qatar Airways, Cathay, or Garuda Indonesia. Chinese Airlines ain't particularly known for service that goes anywhere beyond pointing out the way to the lavatory, especially when I think of Air China. 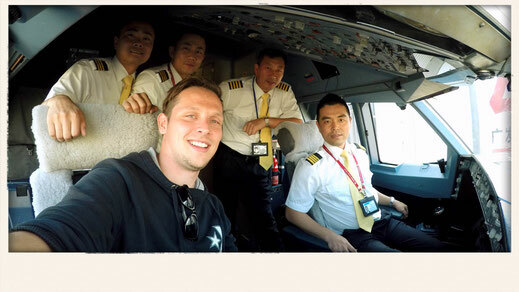 However, life is full of surprises and so was my experience with the Haikou based airline. The moment I got on the plane I was well looked after. For the next 10 hours Cindy should be my best friend. I was offered a juice and Cindy would ask me how I would like to be addressed. I was offered snacks, a hot towel, and I was given a headset. 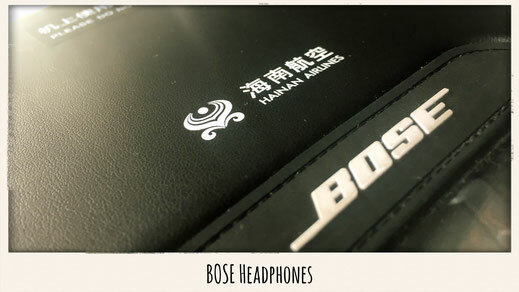 BOSE headsets to be more particular. The norm with Chinese crew is that usually things get quite awkward due to the lack of English, but this also wasn't an issue since her English was perfect. We had a little talk, I was given the menu, and shortly after everybody was onboard we started taxiing. 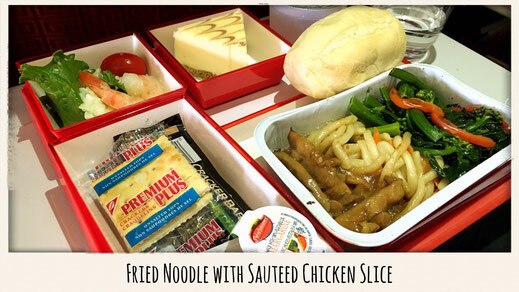 To improve your Business Class Experience, Hainan Airlines will take its onboard catering to a next level. 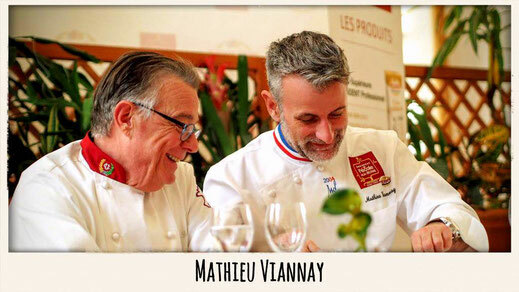 World Class Chefs dishes will be served on certain routes. 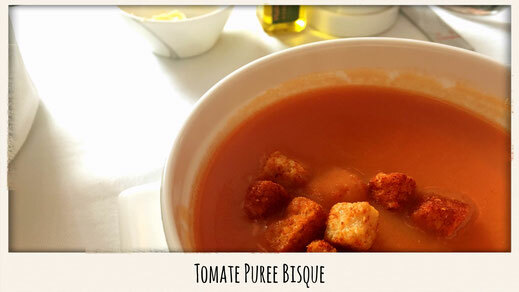 From Paris to Xian, French Master Chef Mathieu has contributed his recipes to make your flight quite a tasty experience, while the Star Chef Sutti Sripolpa contributed to the culinary experience of your North America flight. 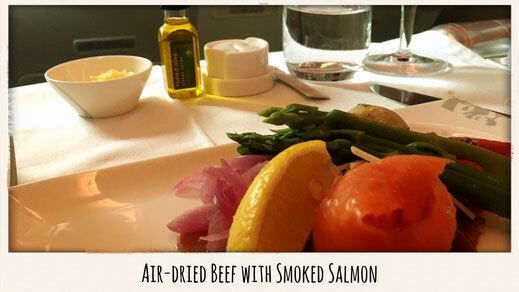 The dinner service kicked off shortly after take off and the SkyChef would personally take my order. 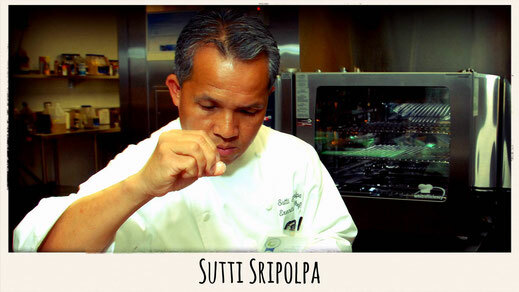 I was given recommendations and the thing I was most impressed by is that the chef wouldn't take any notes, but remembered my order by heart. Good skills. Cindy would set up my table. A bread basket, butter, cutlery, and a little bottle of Huile d'olive olive were set in place as well. Asparagus with smoked salmon were followed by a creamy tomato soup which was really delicious. 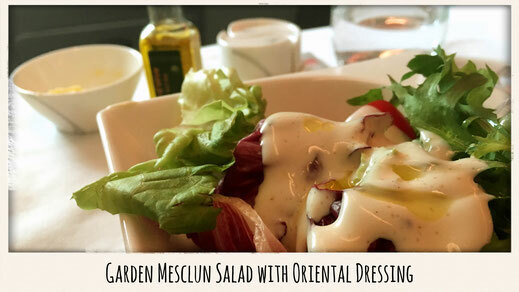 Before the main course was served I received a salad with some really tasty dressing. 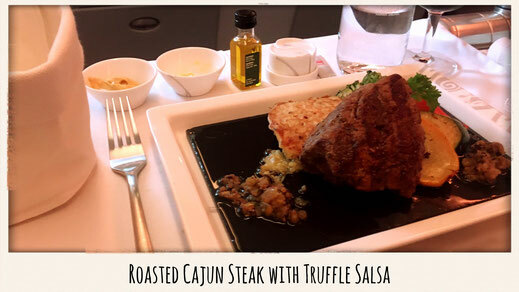 The Sky Chef was really brave when he asked me how I wanted my steak done and I surely accepted this challenge by asking him for a raw one, which, as we all know, isn't really an easy task in 37,000 feet. If I said It was medium I would actually compliment the chef. However, the steak, with a side of wedges was quite tasty and served on a hot stone. Justin alias "Jason", you did well. After dinner was before wine tasting. Great wines were offered, such as a white Lumiere de France Burgundy, which went exceptionally well with the Steak! 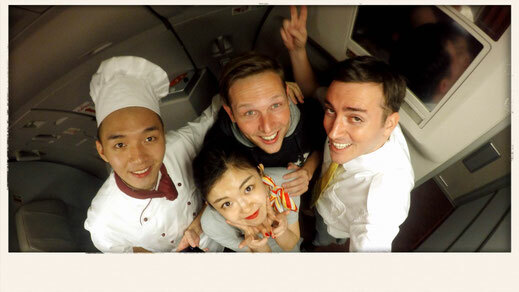 Also Jonathan, a French Cabin Crew member (Who spoke a perfect Chinese) operating the other half of the Business Class Cabin, would offer his assistance to me and help me with anything I needed. He also noticed the moment I put away my Screen and asked whether I wanted to have a newspaper or anything else to keep myself entertained. Cindy had a perfect sense of timing and would check on me from time to time without being annoying or fake, to be honest, she is probably one of the most genuine flight attendants I have met in the sky, and truly convinced me that Chinese Airlines can also deliver a spot on service. The movie choice was solid and newly released blockbusters such as the new Batman or The Jungle Book were available on demand. The screens on Hainan's A330-200 are a bit outdated though. However the entertainment is more than average and it's a good product. I'm among those who can't really sleep on airplanes but I managed to have a proper 3 hour sleep just in time for the pre-arrival service. The breakfast was a roasted chicken wrapped in Bacon. Honestly, it was way too heavy, especially after the rich dinner I have had. 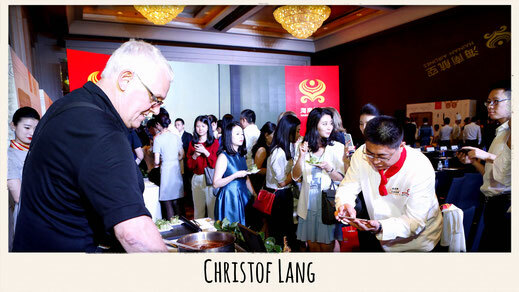 Overall, the product is delightful and was executed perfectly by Cindy who certainly stands for Hainan's mission statement. She was genuine, professional and passionate about her job. 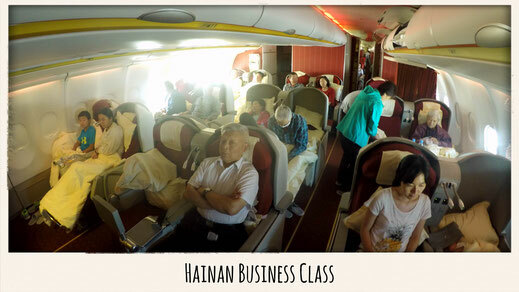 Does Hainan Airlines really offer a 5-Star Service? 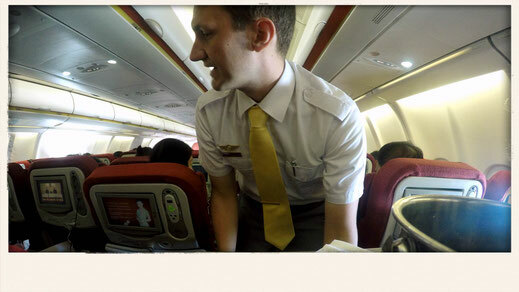 In order to answer this question I compared my flight with Hainan Airlines to my recent trip on Qatar Airways A350. There were many similarities and in terms of service, literally no differences. 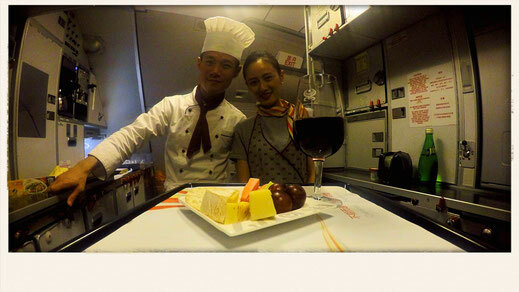 To be quite frank, Hainan's Cabin product was even more appealing to me. 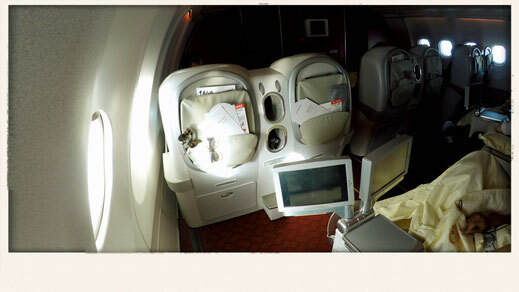 The Business Class seat of Qatar Airways was by far better though, there is no doubt about it. I also prefer the 1-2-1 configuration on most of the 5-Star carriers. However Hainan Airlines is a quality airline I would fly again. The Cabin Crew seems quite motivated and can identify themselves with the product which automatically turns into a lot of passion towards their jobs. Yes, Chinese Airlines can also deliver top service and Hainan is the rare exception within the Chinese Aviation industry. 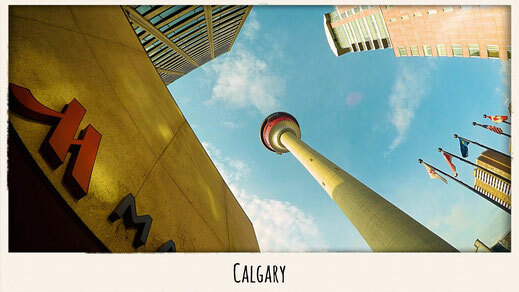 Believe it or not, but Calgary and it's surroundings are among the most visited places on earth. 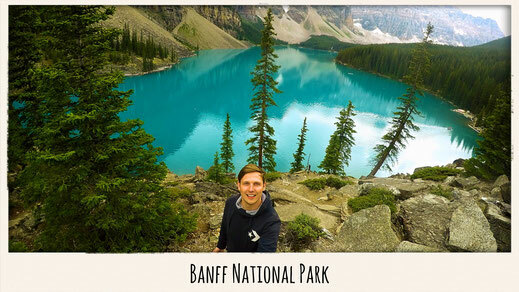 Especially the nearby National Park Banff, which is third oldest in the world, is truly mind-blowing. 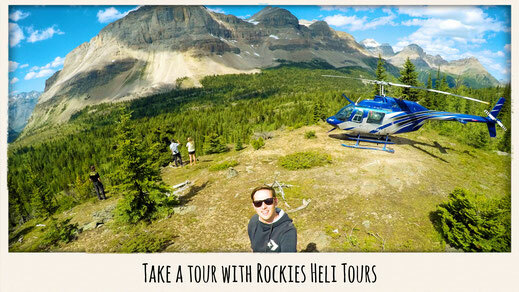 Located only an hour drive west of Calgary, one of the most stunning sights mother nature has to offer, is awaiting you! 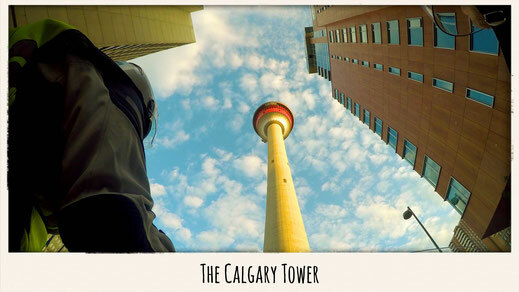 Check out my Calgary Guide for more!